From the 1960s onwards (considering the filming of Felsenstein’s productions or Kaslik’s debut in the West, for instance), although opera directors from countries to the east of the Iron Curtain were increasingly frequently invited to work for Western opera companies, their welcome was often less than diplomatic, while political and ideological prejudice prevented their work from being judged with the respect that it deserved. Music drama kept pushing back the boundaries of understanding and interpretation—and not just in productions of historically challenging works such as those of Richard Wagner. In this context the most prominent directors were artists from the German Democratic Republic (GDR) working at the Bayreuth Festival, but heated debates were also generated in Munich by directors such as Ruth Berghaus from East Berlin and Václav Kašlík from Prague. All of them were considered representatives of a performance style and aesthetic that were constantly questioned with regard to their political implications. 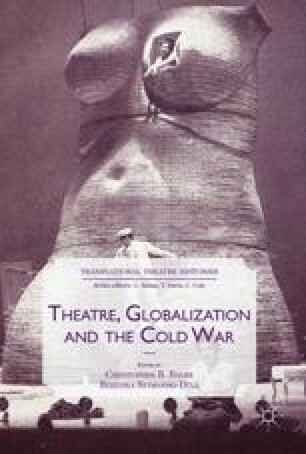 These productions were attacked not only for their alleged propagation of Socialist Realism but also because they were believed to be over-conceptualized and to contain arbitrarily encoded messages at odds with the historical background of the pieces themselves.